Combine water, lemongrass, garlic, ginger and salt and bring to a boil; reduce heat and simmer 5 minutes. 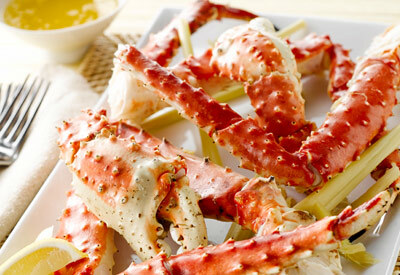 Rinse any ice glaze from frozen Alaska Crab under cold water. Add crab legs; simmer for 6 to 8 minutes for frozen crab or 3 to 4 minutes for thawed crab, until heated-through. Remove crab from liquid and drain well before serving. Cook's Tip: Serve with drawn ginger butter.